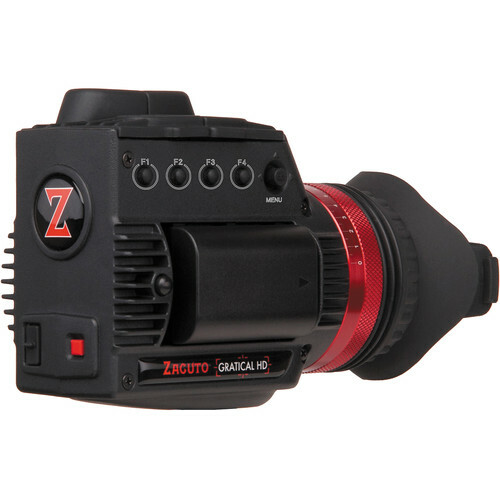 Rising far above the readily available generic EVF or LCD screen with a loupe magnifier attachment, the Zacuto Gratical HD Micro OLED EVF packs more display features and functions than is found in many much larger EVFs and on-camera monitors. At the heart of the EVF is a micro OLED panel about the size of your thumbnail with 5.5 million dots of resolution that produces an image with true blacks and a 10,000:1 contrast ratio, supporting RGB at 24-bits for vivid color rendition. You can choose to display a 720p image within the full resolution display of the OLED and then display the various scopes and signal displays outside of your picture area, which allows you to have an unobstructed view of your image while being able to see a waveform or histogram display of your image. Need Help Finding The Right Item?
. All Rights Reserved. All other trademarks, logos, names referenced herein are the property of their respective owners.